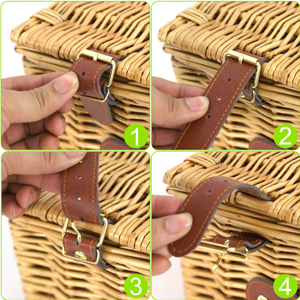 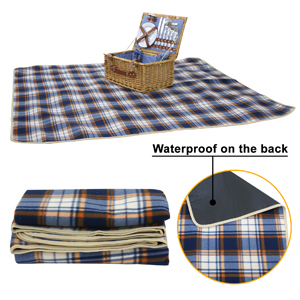 Grab a blanket and take your dining experience outdoors with ZENY Picnic Basket. 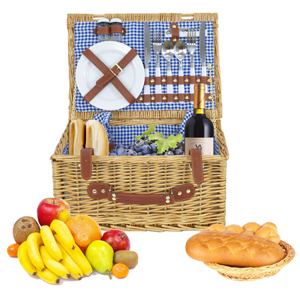 A full service set, the ZENY Picnic Basket is perfect for a four-person picnic in the sun. 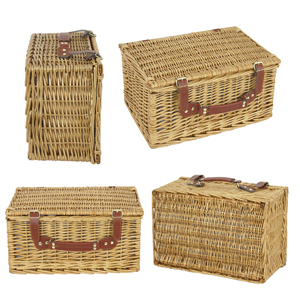 With a charming basket crafted from willow wood, it features a vintage aesthetic that will transport you to a place of simpler times and fewer worries. 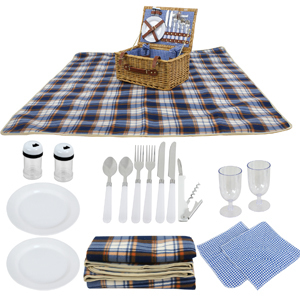 Intricate in design, the ZENY 2-Person Picnic Basket makes an ideal gift and includes one picnic blanket, one set of barbecue tools, two plastic 7" dinner plates, 2 plastic wine glasses, one bottle opener, 2 sets of salt & pepper shakers and two napkins.